I got a new camera. Canon Rebel xt with a 50 mm lens. And after about 500 pictures. These are the best ones of my family. 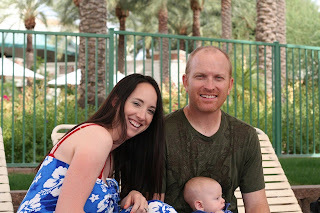 We went to the Arizona Grand Hotel with my sisters and parents. We had a great time. I pretty much took pictures. Thanks to all my models. I won't bore you with the rest of the pictures. Just know that I am loving my camera. Fun fun. The pictures are so beautiful! It makes me want to get a better camera and take photography classes. P.S. Is that girl sitting next to Lindsay - Samantha?! It's official! You make the cutest boys... EVER! oooo! Fun! I love new cameras! With technology changing so fast, my 2yr old camera seems almost ancient. And I love the Rebel-I may have to come check it out! Great pictures!!! You're boys sure have fun personalities!